Coconut oil used to have a bad press in the health community, as ninety percent of coconut oil features saturated fats. However, what researchers have since discovered is that fat sources are made up of different fatty acids. While most monounsaturated oils like olive and rapeseed are made up of long chain fatty acids that are difficult for the body to break down (and can be stored as fat), coconut oil contains medium chain fatty acids. It is these fatty acids that the body loves, as they are simple to break down. These are less likely to cause weight gain. Coconut oil takes on a lard like appearance at room temperature, but it will start to melt in warmer weather and turn to a clear liquid. If you are new to eating coconut oil, consume it when it is hard. Although it is an oil, it does not leave an oily texture in the mouth. It tastes like a mild sweet. Coconut oil provides rapid energy. 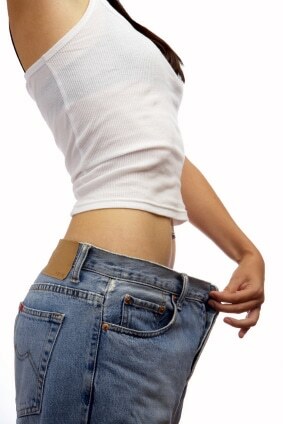 You may feel it gently heating up the belly area, and this is due to its benefits on the metabolism. Per tablespoon, coconut oil contains approximately 130 calories. 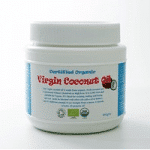 If you are wondering what type of coconut oil to eat, stick to the virgin and/or organic varieties. Check the ingredient label. You want a cold pressed unrefined oil that has a mild coconut scent. Eat from one to four tablespoons daily to support immune health. Smother it on your body in place of expensive anti-aging face creams and moisture lotions. Use it on the hair and nails as a lush moisturising treatment. If the thought of eating coconut oil makes you think that you’ll gain weight, why not do your own research into fatty acid structures and how the body utilises them. Soon you will find that there is nothing to be fearful of but fear itself.